Amazon has closed The Dangerous Book for Boys. Deadline reports the streaming service has cancelled the TV show after one season. Based on the book by Conn and Hal Iggulden, the comedy-drama follows the McKenna family as they grieve the loss of patriarch Patrick. 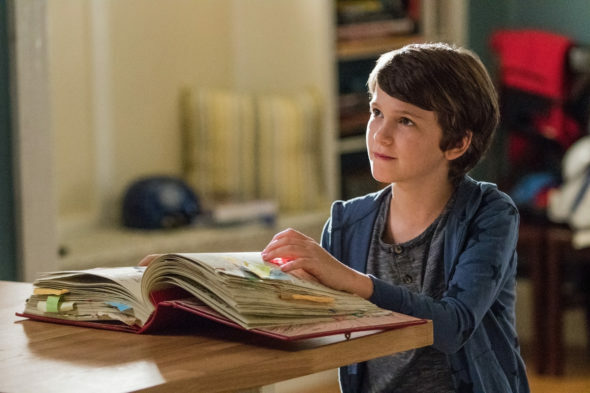 The cast includes Chris Diamantopoulos, Gabriel Bateman, Drew Powell, Kyan Zielinski, Erinn Hayes, Athan Sporek, Sophia Valinotti, and Swoosie Kurtz. Amazon‘s decision to cancel <a href=”#comments”>What do you think?</a> is not entirely unexpected. Earlier this summer, Amazon Studios chief Jennifer Salke said the audience size and the cost of the show didn’t quite add up. What do you think? Have you seen The Dangerous Book for Boys? Are you sad it’s been cancelled? More about: Amazon TV shows: canceled or renewed?, The Dangerous Book for Boys, The Dangerous Book for Boys: canceled or renewed? So sorry this was cancelled. My daughter and I loved watching this. Great show to watch as a family. Bring it back! So sorry this was cancelled. My grandkids loved watching it. Wholesome show to watch as a family. Our family loves this show. My 3 sons are disappointed that it’s not being renewed. It was well done and sent a good message. We found this show by flipping thru Amazon Prime; consider more advertising and more people will watch it. I agree with Buster. I found the show by accident. I had never seen any promotion of it. I am sad that it was canceled. I hope Amazon reconsiders. I hope they reconsider also! I’m sad. I thought it was really nicely done. We watched all the episodes in one night and my son couldn’t wait for it to come back. Sometimes it needs to not be about the money but the enjoyment it brings to watch it with your family. Our family, especially our 2 boys, ages 8 and 10, were so sad the show was canceled. Hoping Amazon has a change of heart and brings the show back. Didn’t even know if was showing on Amazon. Maybe that’s why the audience was low.